Ross from Friends has been spotted in Blackpool stealing cans of lager. Or at least, someone who looks just like him has. Maybe it was Russ? There were a few examples of theft in Friends. 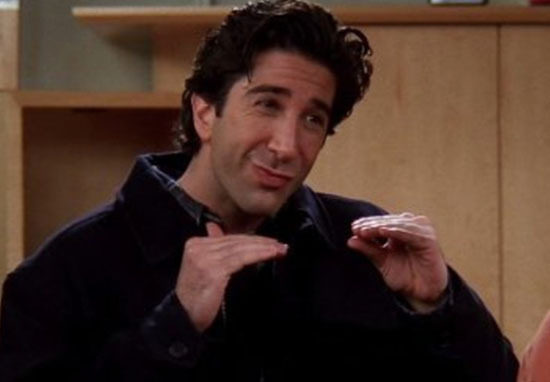 Chandler and Rachel stole a cheesecake, Phoebe accidentally nearly stole Monica’s engagement ring, and Monica had a habit of taking Ross’ spare cash. Ross was a bit late to the game, but apparently, he’s not averse to theft either, as everyone’s pretty sure they’ve spotted him stealing some lager. 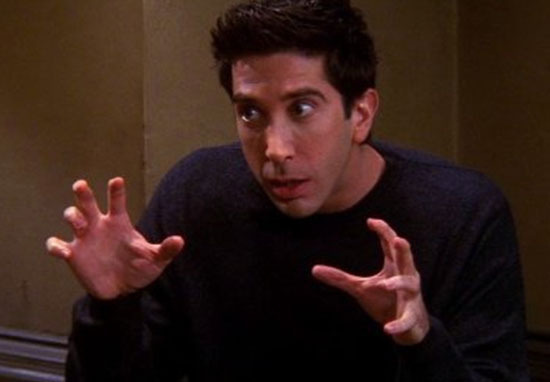 Okay, Ross took a lot of things from hotels, but that wasn’t stealing. He was just taking what the hotel owed him. You might be thinking, there’s no way Ross from Friends – aka David Schwimmer – was in Blackpool buying lager, but don’t speak too soon. Right? I guess this is what you have to resort to when you’re spending all your money on an apartment in New York City. Do you recognise this man? We want to speak to him in relation to a theft at a Blackpool restaurant on the 20th September. If you know who this is, please email [email protected] quoting log LC-20180920-0670. Thank you for your help. By the way, if you actually do recognise the man, do contact the police. It would be very helpful to them. Unfortunately, rather than commenting useful information, everyone on the internet spotted the similarities between the thief and Ross and decided to turn the image from an investigation into a meme. Get ready for some serious Friends references. Please approach with caution. He is known to have studied Karate and we believe he has mastered the art of Unagi, the total state of awareness. As much as we all want it to be Schwimmer stealing lagers in the photo, Blackpool police have confirmed this isn’t the case. Thank you to everyone for your speedy responses. 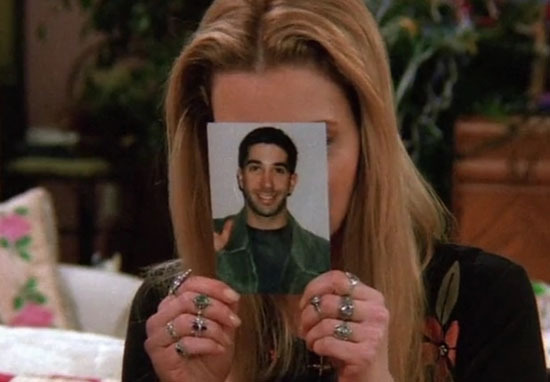 We have investigated this matter thoroughly and have confirmed that David Schwimmer was in America on this date. We’re so sorry it has to be this way. The fact they’ve confirmed it wasn’t Schwimmer implies they actually contacted him or his people to make sure he wasn’t in Blackpool last month. Well done, internet. On the bright side, the hilarious comments on the post have helped it spread across the internet, raising awareness of the theft. Whoever the Ross lookalike is, I don’t think he’ll be able to go out and about without getting spotted due to his sudden internet fame.